I picked up a plain display post from a store going out of business. Sat and looked at it for a couple of weeks and decided to paint it to look like rocks. 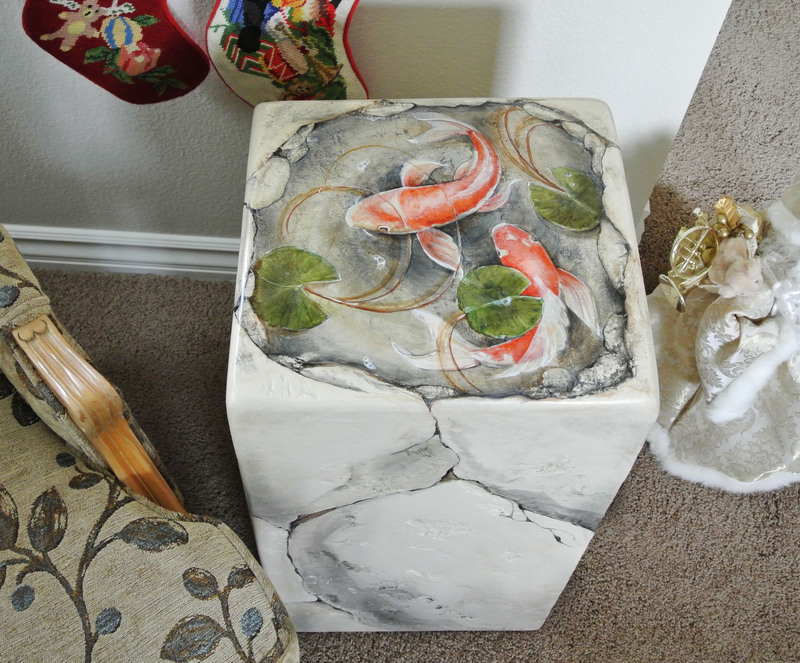 Well….if I’m going to have a rock post, I may as well have a Koi pond in it. All I need to do now is put a piece of glass on top and TaDa! How fun is that?